A few days ago I was wondering about some possible themes for new Words of the Week posts and it suddenly came to me that I hadn’t really talked much about medicine (cancro/sida notwithstanding) and specifically about body parts, even though that one of the first things that people learn in a new language! Truth be told, the reason for this is that the most important body parts and organs are similar in both variants of Portuguese; heart is [o] coração, leg is [a] perna, hand is [a] mão, brain is [o] cérebro, and so on. Only when you look for more specific places in your body will you find differences. 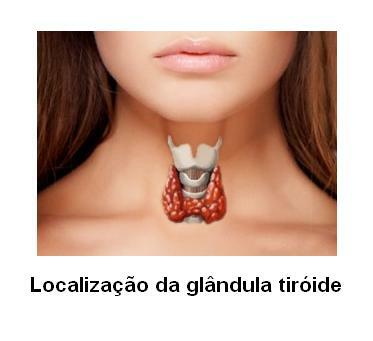 One such case is the thyroid, the endocrine gland found in your neck and whose job is “influence your metabolic rate”. This internal organ is know as [a] tiroide in European Portuguese, while the word used is Brazil is [a] tireoide. It’s not a big change, but a change nonetheless, and one which affects all other words derived from it, like hyperthyroidism – [o] hipertiroidismo (EP) / [o] hipertireoidismo (BP) -, hypothyroidism – [o] hipotiroidismo (EP) / [o] hipotireoidismo (BP) -, thyroiditis – [a] tiroidite (EP) / [a] tireoidite (BP) -, et. al. It’s also relevant to know that both words were formerly written with an accent on the o, ó; the Spelling Reform of 1990 (Base IX, 3.º) has removed all accents in words stressed with -oi- and -oi- on the second-to-last syllable, which is the case of tiroide / tireoide. Other words affected by this change (i.e. which you might see written differently in sources who don’t apply the Reform / were writting before it became the standard in the early 2010s) include [a] jiboia (boa constrictor) and heroico (heroic, fit of a hero). I’ll continue this digression on bodily language differences between EP and BP next week! See you then!